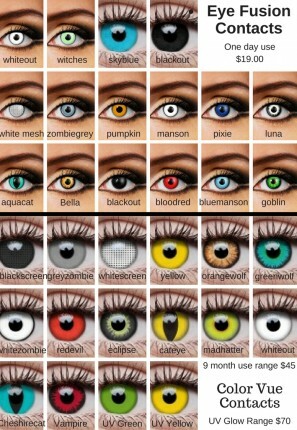 Crazy Colored Contact Lenses for purchase. These lenses are the ideal accessory for any costume. Full color range we sell here. 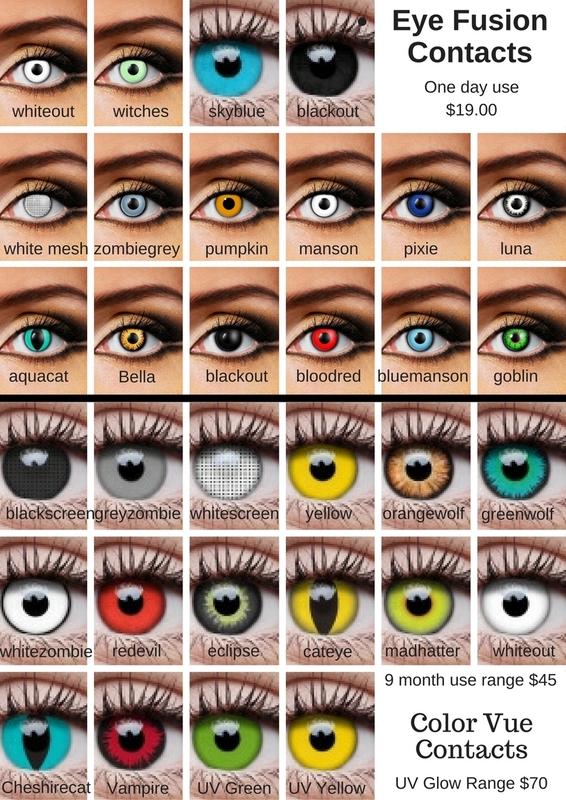 Crazy Contact lenses are perfect for wearing at Parties, Halloween, Raves or Nightclubs! Make your Halloween costume stand out with awesome colored lenses.